Is This Luxury Lake Lure, NC Property Your Future Mountain Retreat? Are you searching for a luxury Lake Lure, NC property? Look no further. 221 Half Moon Mile Road features incredible views and only the most impressive designs. This mountain lookout is the property of your dreams. Featuring only the most luxurious amenities, this Lake Lure estate is perfect for your personal retreat, next home, or potential investment property. Here’s a few of the property’s highlights. 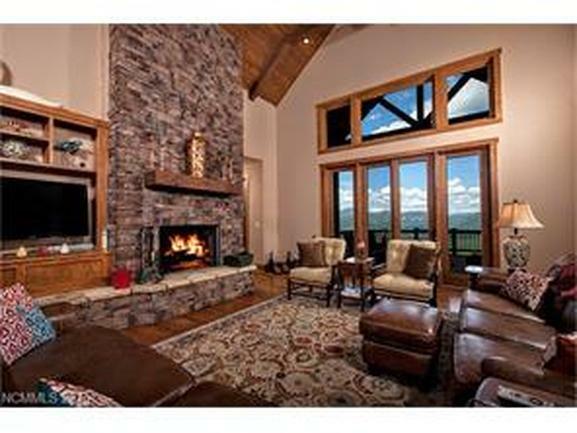 Enjoy miles of uninterrupted views of the surrounding Blue Ridge Mountains. 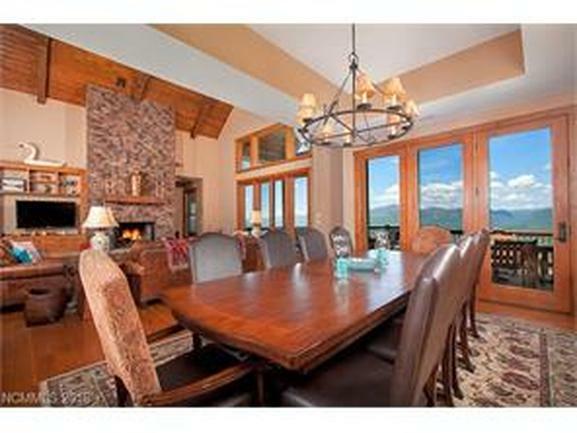 This property is perched atop one of the highest peaks in the area, giving you unrivaled visions of pure mountainous and wooded beauty. 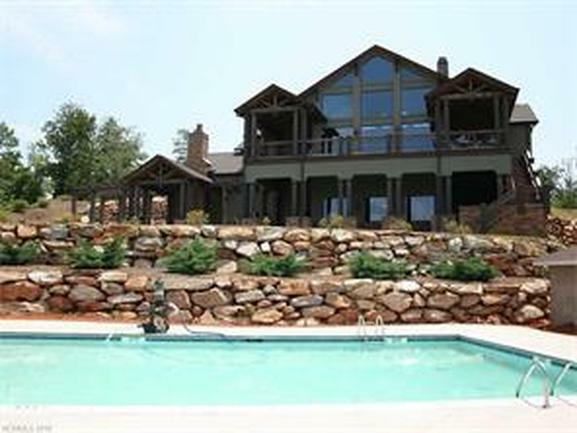 Enjoy the atmosphere of a cozy cabin but with the square footage and amenities of a palace. The property’s exterior has been chicly designed with a modern stone, wood and siding facade, while the interior features exposed wood and stone accents. This property is absolutely perfect for entertaining guests or hosting large groups of renters. A generous living room and expansive dining room emphasize the beauty of the view and provide ample room. Access to amenities such as a private pool, tennis court and clubhouse gives your guests or yourself an ample amount of activities without going far. Enjoy the total luxury experience in this property’s gourmet kitchen. 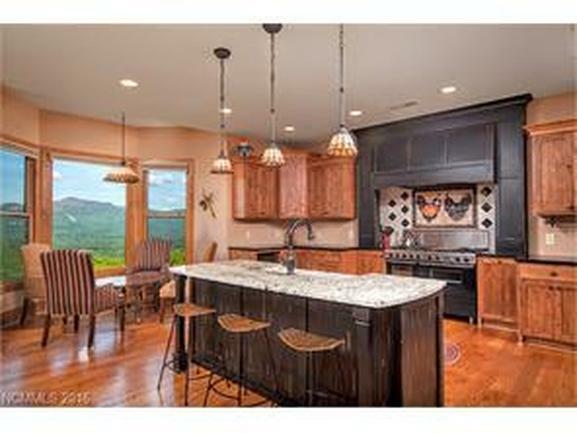 Enjoy views of the mountains while you cook, or simply take a cup of coffee in the breakfast nook by the window. Furthermore, an industrial double oven, granite countertops, and enormous kitchen island with bar seating makes this kitchen perfect for holiday cooking or entertaining numerous guests. Have a Spa Day–In Your Own Home! There’s no where better to blow off some steam than in the comfort of your own home. Enjoy a luxurious master bathroom, complete with a large, open air shower, enormous jetted tub, and generous counter space. 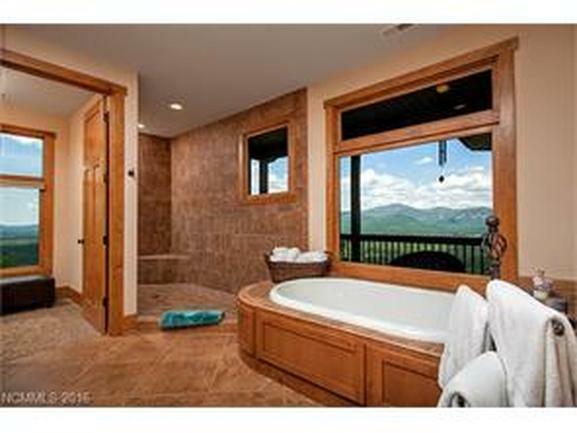 Within the home you will also find a covered hot tub, and an expansive deck top views of the surrounding scenery. Interested in This Luxury Lake Lure, NC Property? 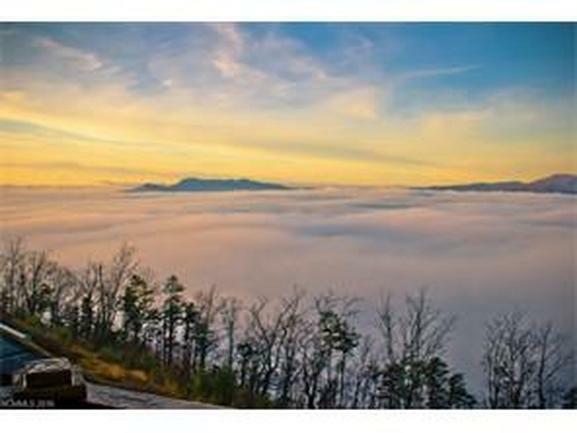 If you are intrigued by this, or another, luxury Lake Lure, NC property, allow us to help. As western North Carolina real estate experts, allow us to assist you on your real estate journey. Contact us to schedule a visit to this property, or simply utilize our buyer’s resources to learn more about the area, real estate trends, or to simply get top advice on the home buying process. We look forward to hearing from you!